Greenwich resident David Shulman wants to help restore trust in the financial industry. Public confidence in the sector has deteriorated dramatically since 2008 after a succession of scandals, including the latest ending with Wells Fargo CEO John Stumpf stepping down. One of the most personal instances of fiduciary fraud for Shulman was the Bernie Madoff case, which was exposed in 2008. 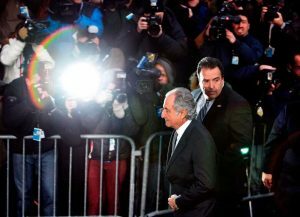 Shulman said many of his friends and family were affected by Bernard L. Madoff Investment Securities, one of Wall Street’s largest firms, whose Ponzi scheme defrauded investors of more than $60 billion. Shulman said he “took a step back” and examined companies’ processes for screening potential employees. A few years of research led him to concludenot much was being done aside from background checks and drug tests. Today, Shulman is founder and chief executive officer of Veris Benchmarks, a company that provides a “personality test for moral fiber.” The company began offering its tool, Veris Professional, commercially in April. Using responses from more than 800 white-collar felons serving prison time for the crimes Shulman hopes to prevent, Veris Benchmarks evaluates a person’s propensity for making decisions that could lead to fraud by comparing their results to those of felons. Industrial psychologists Paajanen, who developed the PDI Employment Inventory, and Dr. Tom Janz, chief scientist of PeopleAssesments, worked together to develop the 103-question test, which reduces the results to scores in eight key characteristics. These include accountability, ambition, cautiousness, commitment, conscientiousness, consideration, empathy and sincerity. The categories were chosen after extensive research showed they are common to everyone, Paajanen said. Just as people can be compared across the population by height, these characteristics can be used to compare people’s personalities. The core of the assessment is gauging a person’s tendency to justify or rationalize their actions. 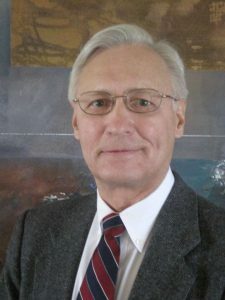 Paajanen is one of few to obtain access to felons to collect test results from them for Veris and a project for the United States Department of Justice in the 1990s. Responses from about 40 prisons represent a large part what makes Veris unique, Shulman said. Paajanen and Janz reviewed the responses and assigned a number out of a 100 as a norm for the felons. Everyone who takes the assessment is given a number that can be compared against that benchmark. Additionally, Shulman said he encourages companies that adopt Veris to give their current employees the assessment to register its own benchmark against which potential employees’ scores can be compared. Veris does not tell companies what number is acceptable — that’s up to each institution, Shulman said. Some companies prefer to assess only new employees, so it will take a few years to gather enough data to determine their norm, Shulman said, but it won’t take long to infuse the company with employees who meet a certain standard. He hopes Veris Benchmarks will someday become a tool integrated into all applicant tracking programs, giving it the power to transform industries. Shulman emphasized that Veris should not be a company’s sole method to screen applicants. It is intended to be an integral tool within a battery of others to fully screen potential employees. He hopes companies will want to market that they use Veris because it will signal they are interested in protecting their customers and shareholders from harm. Employers are increasingly interested in hiring analytics, Janz said. Everyone should appreciate the trend, he said, because otherwise decisions are based primarily on someone’s opinion. There are three factors people should consider when someone tells them who to trust, he said: How do you know that? How sure are you? How did you arrive at that level of confidence? “We answer those questions with this test, but most people don’t have that answer,” Janz said. Shulman’s future plans include continued research to refine Veris’ accuracy and value. He hopes to receive assessment results from more high-profile white-collar criminals. He said Veris is tracking employees who have been scored by Veris to show companies how much more productive those who perform well on the assessment do in their jobs. Veris isn’t yet able to work with small companies. It’s ideally suited to clients who hire about 100 people annually. Shulman said he wants to explore working with smaller businesses and more industries. To take an unverified, sample Veris Prime test, go to www.verisbenchmarks.com.